← What is Acid Detergent Fiber (ADF) in Horse Hay? Wow! 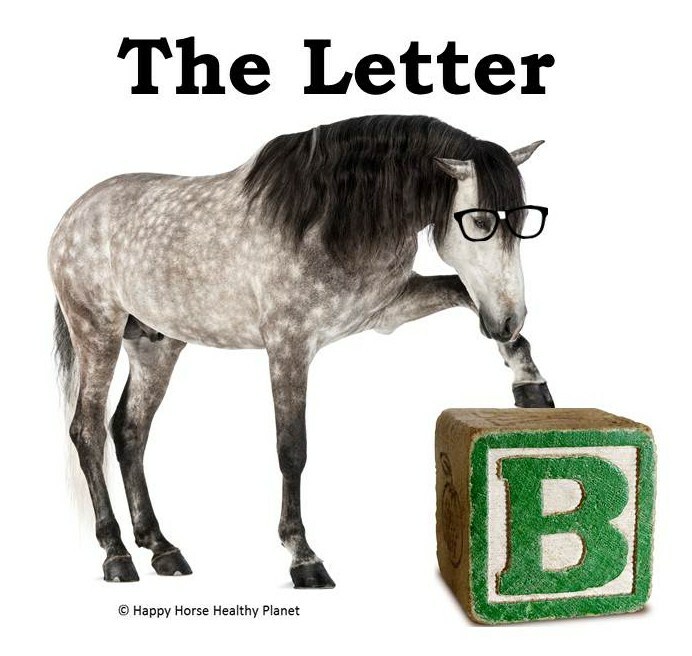 There are a lot of topics in horse nutrition that begin with the letter “B“. And those topics have a LOT of information! Before we get into nutrients, toxins or any other nutrition topic, I would like to begin with a tool for you to use in determining your horse’s health. A way to help you see if your nutrition program is on the right track. With that in mind we will start the letter B with Body Condition Scoring. I would be remiss not to start our “B” journey with Body Condition Scoring or BCS. If you follow my blog you know I am always talking about this. Vets use it, nutritionists use it, animal welfare organizations use it, because a BCS is a universal way of determining the current condition of your horse. Specifically, what is the score on a ratings scale from 1 to 9 of your horse’s current weight. There are a few variations on BCS systems but I like (as do most vets) the Henneke system. Using the Henneke Body Conditioning system you see and feel for fat deposits to determine the BCS of your animal. 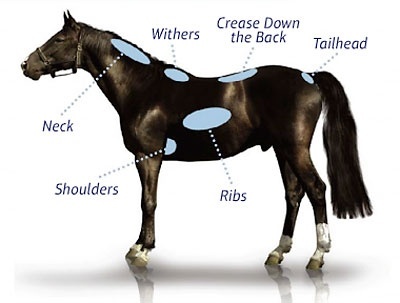 There are six areas you feel and “eye”; the crest of the neck, the withers, the loin or crease down their back, right above the tail, the ribs, and right behind the front leg at the shoulder. You begin by rating each area with a score between 1 which is extremely thin, to 9 which is obese. You then add all six scores together and divide by six to get your horse’s BCS. Most vets agree that a horse with a BCS of 5 is in good weight or condition. Remember, you will need to allow for variations according to breed and discipline, for example, a race horse could have a BCS of 4 and be fit and healthy, where a show hunter could be a 6-7 and look fine for their job. I like to stress the importance of feeling instead of just looking, especially in the winter when horses are most likely to lose weight and also have thick coats that hide ribs and bones. If you feel the spongy fat deposits you know your horse needs less calories and/or more exercise. If you see and feel bones protruding you obviously would need to add calories. In both circumstances you should consult with your vet to rule out any health conditions that might be contributing to their weight issue. I suggest horse owners rate their horse once a month. That way you will catch things before they get to be a problem. When you see your horse regularly little fluctuations might not be noticed. Here is a handy chart for quick reference. Bee Pollen has been called one of nature’s most perfect foods. Bee Pollen contains the male gametes of plants found as small dust pellets in the stamen of flowers. The male germ cell of plants is the most nutritious part. When the bee lands it get covered in the pollen. The pollen is brushed off the bees legs with a special device that is placed at the entrance of the hive by the bee keeper. Bee pollen is packed full of antioxidants, vitamins, minerals and hormones in combination with digestive enzymes from the bees. Scientists agree that enzymes are absolutely essential for every biochemical function of the body. Bee Pollen is also known to build the immune system and provide energy for the entire body. Horse owners are recognizing its value because of its ability to help a horse’s body recover from exercise, to return breathing and heart rate to normal, and to improve endurance. Bee pollen provides energy, stamina and strength as well as improving mental and physical reactions. Another benefit to feeding Bee pollen to horses is its ability to correct body chemistry and eliminate unhealthy conditions. 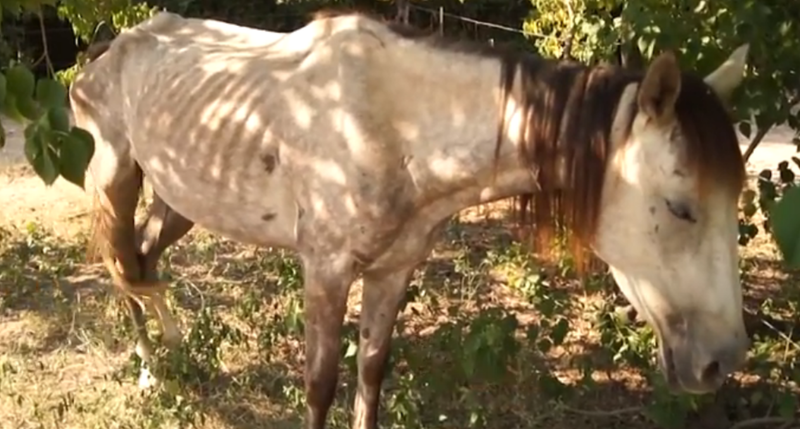 Chemical pollutants can be a severe stressor to a horse’s immune system. 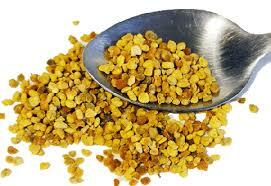 Bee pollen is an excellent source of anti-oxidants. Research studies and clinical tests have demonstrated that Bee pollen can counteract the effects of chemical toxins and is thought to have the ability to throw off poisons and toxic materials from the horse’s body. 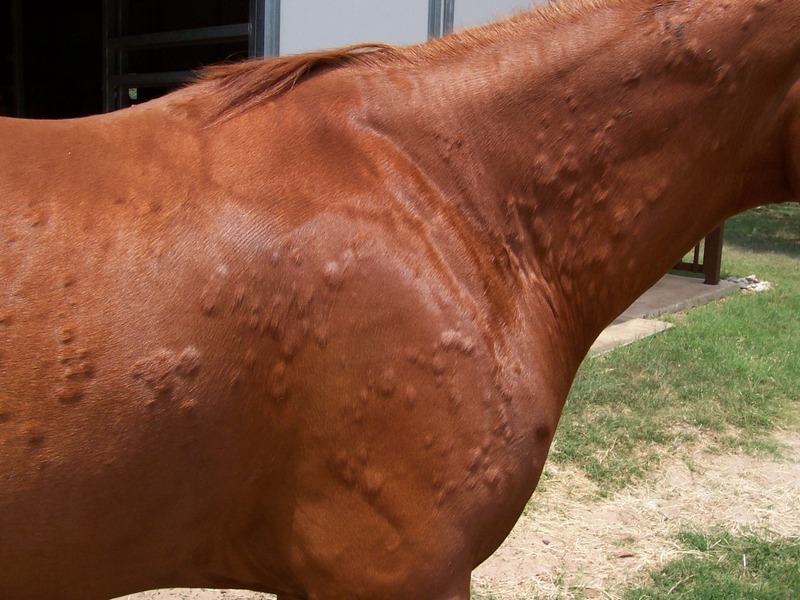 Horses with allergies usually suffer respiratory issues and/or skin reactions. Bee pollen reduces the production of histamine which can strengthen the respiratory system. 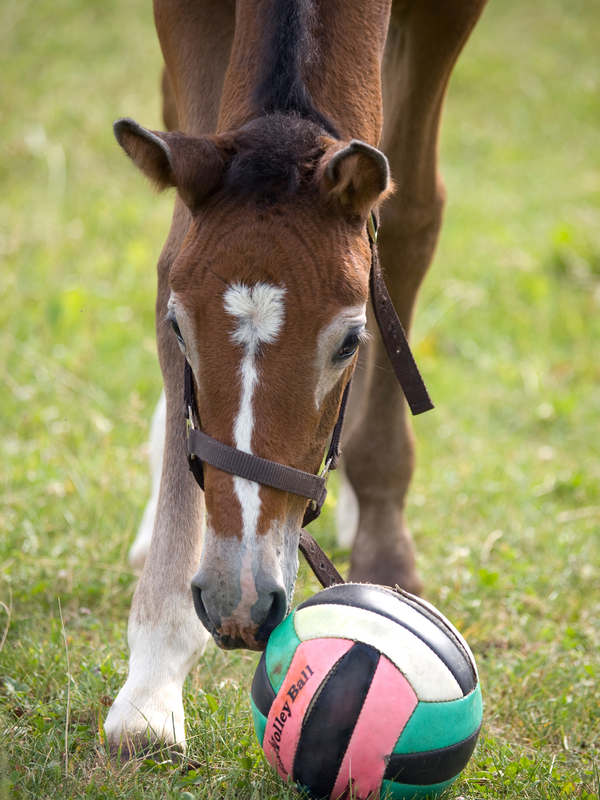 It also will provide protein that can help the equine body build a natural defense shield against allergic responses. Lecithin is a nutrient that aids in the digestive process through increasing the speed that calories are burned and by helping to stabilize metabolism. Bee pollen has lecithin in it and therefore might help with weight maintenance in horses. How do you Feed Bee Pollen to Horses? 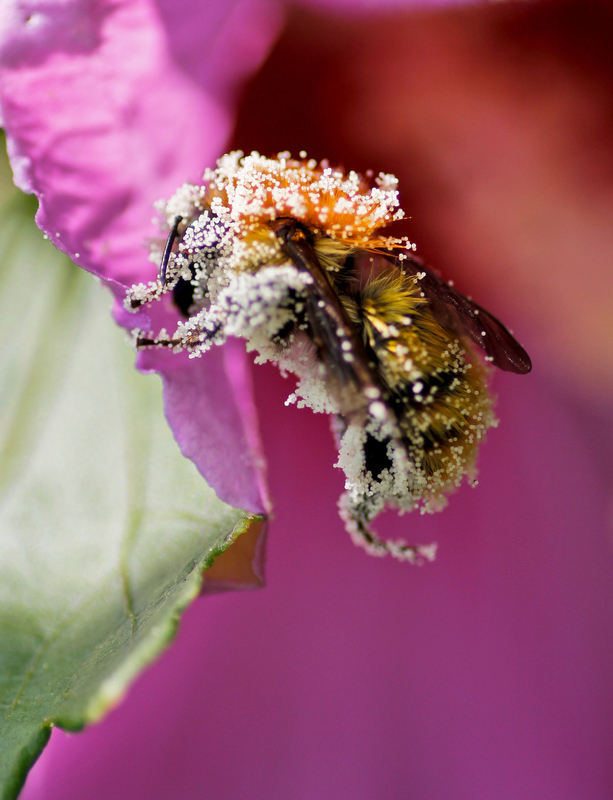 Bee Pollen comes in different forms for equine use, some are powdered and some granular. All B vitamins help the body convert food (carbohydrates) into fuel (glucose), which is used to produce energy. B vitamins, often referred to as B complex vitamins, also help the body use fats and protein. B complex vitamins are needed for healthy skin, hair, eyes, and liver and they also help the nervous system function properly. 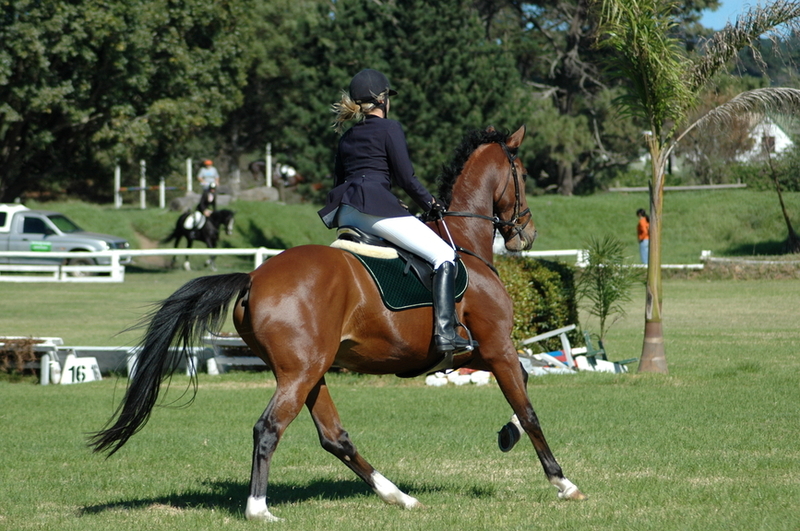 Vitamins are a class of nutrients that are required in small amounts by the horse. Vitamins can be divided into two types; fat soluble and water soluble. B Vitamins are water soluble so therefore are not stored in the fat and can be more safely added to a horse’s diet without risk of toxicity. Vitamins that are water soluble are excreted from the body on a daily basis in the urine. There is no information on the quantitative requirements of the horse for many of the B vitamins and for several it is not even known whether or not they are dietary essentials. An adequate amount of B vitamins are usually supplied for mature horses by providing quality forage in their diets either through grass or hay. How Can B Vitamin Synthesis Be Effected? Horses that receive plenty of fiber in their diet create their own supply of B-vitamins, which are synthesized by the micro-organisms present in the hindgut. As long as there is plenty of fermentation of fiber in the intestinal tract, the supply of B-vitamins will be plentiful. Since bacteria in the horse’s digestive tract produce B vitamins things that impact this can influence the B vitamin status of a horse. Changes that affect the bacterial population may change the ability of the horse to synthesize of B vitamins and can reduce the availability of them. Disruption to the fermentation of fiber in the hindgut can take place for a number of reasons, a low-fiber diet being a prime example. Other instances include any undue stress, such as when horses are traveling, through illness, rapid growth or following surgery or heavy antibiotic use. 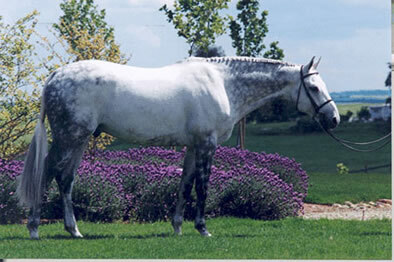 Competition horses are often feed diets high in grain concentrates and low on fiber. This ration combined with the stress of hard work make these horses prime candidates for vitamin-B supplementation. Other horses that might need supplementation are older horses with poor teeth that cannot chew their fiber well. 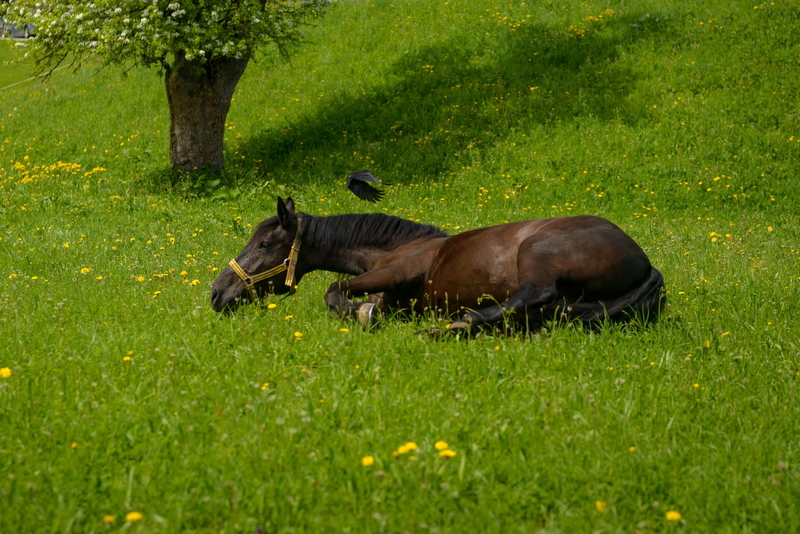 Most horse owners understand that stress tends to decrease the horse’s ability to absorb B vitamins, but many do not know that drugs which selectively kill certain species of bacteria in the gut can affect absorption as well. Parasitism can also reduce availability due to both the ulceration of the mucosa and due to competition for the vitamins. There are also certain things that can affect particular B vitamins. 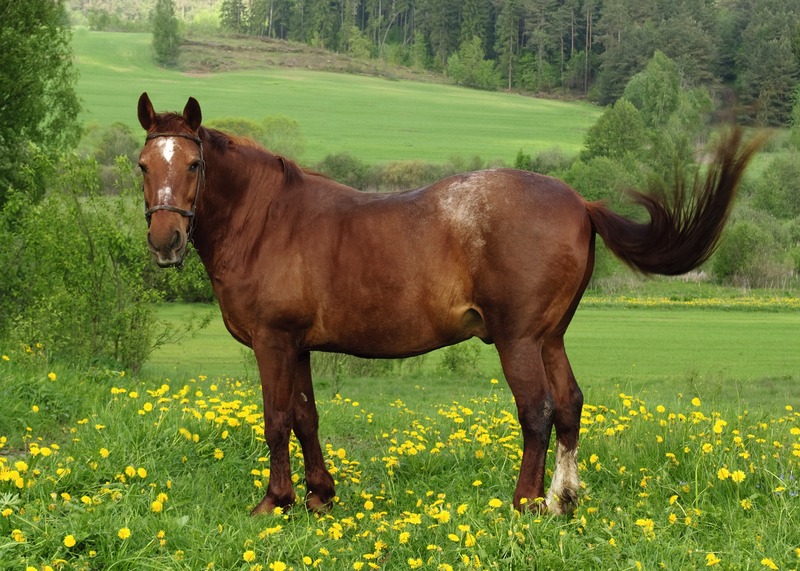 For example, moldy feed, especially hay contaminated by Streptomyces, makes Biotin unavailable for horses and the plants bracken fern, yellow star thistle or horsetail, interfere with thiamin utilization and transport. Another way B vitamins can be compromised is if your horse suffers from chronic or clinical diseases that interfere with nutrient metabolism or has bouts of diarrhea. Finally, its important to remember that along with electrolytes, B vitamins are also lost in sweat and therefore require replacement on a daily basis. While there is much anecdotal evidence available about the effects of supplementing B-vitamins to horses, few actual research studies have been completed to determine the actual results of such supplementation. The most researched and understood B vitamin in the equine diet is Biotin and therefore we will expand our understanding of Biotin later in this post as it begins with the letter “B”. For this rest of this section on B vitamins we will examine niacin, riboflavin, thiamine, B6 and B12 which are the other B vitamins of importance. The main function of thiamine is the metabolism of carbohydrates and protein. Thiamin, known as B1 is required for fat metabolism as well. There are three enzymes that require B1, they have big technical names that I won’t include here but they do have an important role in carbohydrate digestion, so I will mention them. The first two help break down glucose and other similar substrates that will eventually become adenosine triphosphate (ATP). ATP is the energy that all of the cells in the equine body use to perform basically every function (eating, getting rid of waste, etc). The third enzyme is involved in the pentose phosphate pathway which has several important roles. The most important function of this pathway is to provide the cells with a specific sugar to make nucleic acids. Nucleic acids are what make up DNA, so this enzyme is also very important. Put all the uses of B1 together and you can see it is a very important vitamin for your horse’s health and well-being. Exact needs of B1 are not known but it is thought that 0.14 mg per kg of body weight is not sufficient and that 45 mg per g of body weight will result in normal food intake and weight gain. Knowing exact totals is not necessary to measure in horses however because they normally synthesize all the B-vitamins that they need. In theory, if you have a heavily stressed horse, he might not be able at times to synthesize enough B-vitamins and therefore might need additional dietary B1. For example, one of the difficulties we often see with hard working horses is keeping their appetite up so it might be beneficial to supplement with B1. Other research suggests that increased B1 intake in growing horses appears to increase body weight gain. Where Does My Horse Get B1? The most significant source of this B vitamin in feedstuffs is brewers yeast with 95 mg/kg. 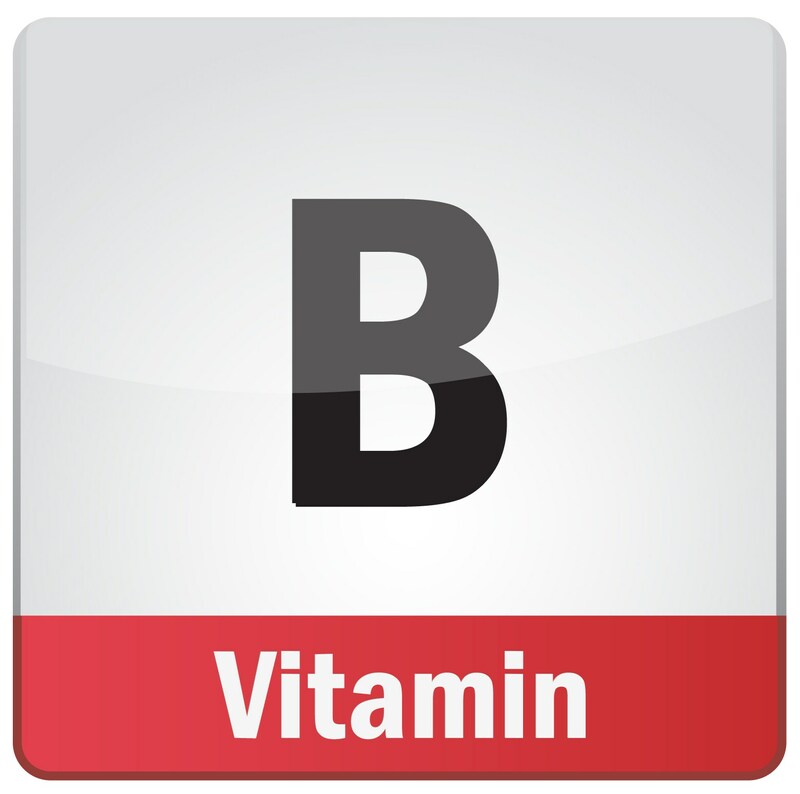 B1 is one of the few vitamins that is found in grains. Of the cereal grains, barley contains the most with 5.7 mg/kg, followed by wheat, oats and then corn respectively. 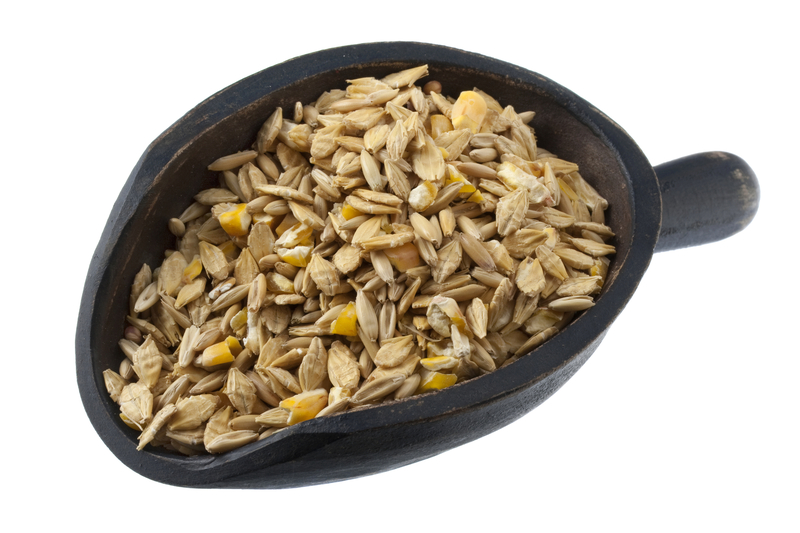 Grain by-products actually contain more B1 than the whole grains with rice bran having the most (23 mg/kg). Other grain by-products that are full of B1 are wheat midds and wheat bran. A few protein sources also contain a good amount of B1. Peanut meal has 12 mg/kg and cottonseed meal has 6.4 mg/kg. So when you check a label for ingredients look and see what sources of B1 might be in your grain or supplement. Is there a Risk of B1Toxicity? As with all water-soluble vitamins toxicity is not an issue. B1 is water soluble and to date there has never been a report of toxicity. Generally speaking any extra that the horse doesn’t need is eliminated from the body through urine. B1 deficiency is much more a concern than toxicity due to the fact that water-soluble vitamins are not stored in the body, therefore must be consumed on a daily basis in adequate amounts. In rare cases where there is a B1 deficiency is you might see the disease beriberi. Beriberi affects the nervous system and symptoms include pain in the limbs, edema (swelling of the body), and severe lethargy. B1 deficiency has also been suggested as a factor in roaring, because some research has shown that roarers have lower blood thiamin levels than non-roarers. Despite the seriousness of B1 deficiency, reasonable horses that are provided a decent equine diet high in good quality forage will have no problem obtaining their daily requirement of B1. Side note: Even under the best conditions there is a way that horses can get deficient in B1 and that is by consuming bracken fern. Horses that consume bracken fern may display signs of B1 deficiency despite having adequate amounts in the diet. This is because bracken fern blocks the metabolism of B1 in the horse. B2 is vital for protein and carbohydrate metabolism. Riboflavin is a precursor to two coenzymes. Coenzymes are molecules that carry chemical compounds between two enzymes which transport many substances in the body. 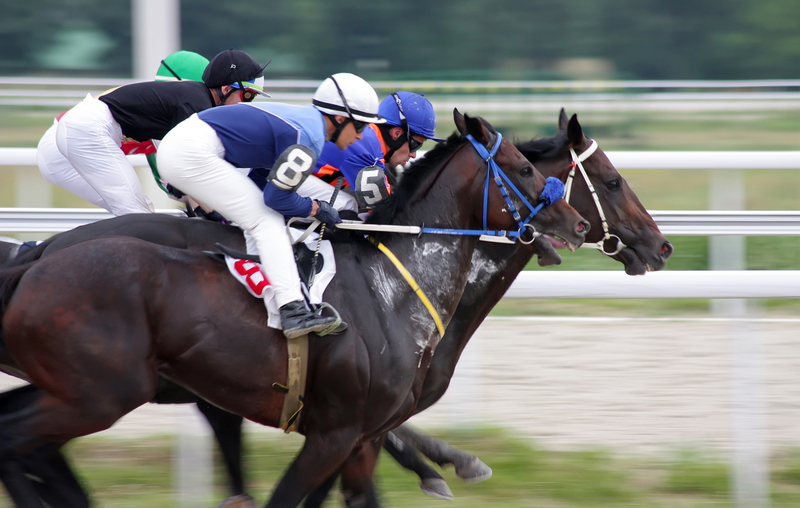 Being a precursor simply means that the equine body uses B2 to make the coenzymes. B2 also appears to have a role in fat metabolism. There is a specific site in an area of the small intestine where dietary B2 is absorbed. It binds to a carrier protein and then is transported to the liver, the adrenals, and other sites where it is built into the enzymes. As with all water soluble vitamins excess B2 is withdrawn by the kidneys and excreted via the urine. At 30 mg per day a hard working adult horse has the highest demand for B2 in its diet for proper metabolism. Most adult horses should have a diet that provides between 9-15 mg of B2 daily for optimal enzyme activity. 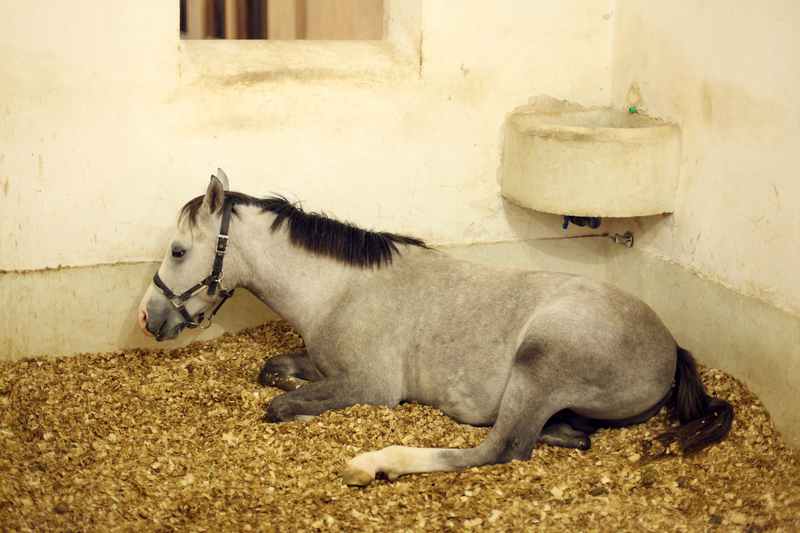 Young horses should get between 4-10 mg/day. Despite its importance in the horse’s everyday life, B2 intake is of little concern for the average horse owner. Because of the concentrations found in various forages, the horse easily meets the daily requirement of B2. Where Does My Horse Get B2 ? Legume forage like alfalfa and clover are the best sources of B2 in the equine diet and contain around 15 mg/kg of dry matter. Grass hay has about 7-10 mg/kg (dry matter) of B2 so is also a great source. Cereal grains and milling by-products meals are poor sources but some oil seeds and dried yeast/brewery/distillery products have higher contents. 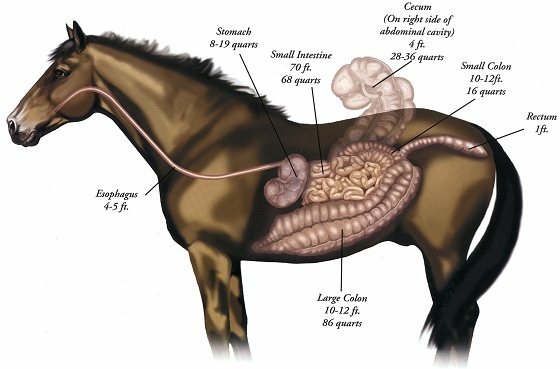 The microbes in the large intestine can produce B2 for the horse’s use. This was illustrated in one study when horses that were fed diets known to be in B2 had increased B2 concentrations in the cecum and colon. Since B2 is one of the water-soluble vitamins any excess is rapidly excreted via the kidneys and urine. There is no evidence that the intake of excessive amounts of B2 leads to any form of toxic reaction. Very large amounts have been supplied to horses and many other species without any apparent effect. One area of concern for deficiency is if the horse is not fed adequate forage which is just another example of why I am always preaching about forage. If a horse is fed a high energy diet of grains, that is not fortified, the ration will naturally be low in B2 . Therefore as the energy level of the diet is increased the B2 level should be increased proportionally. 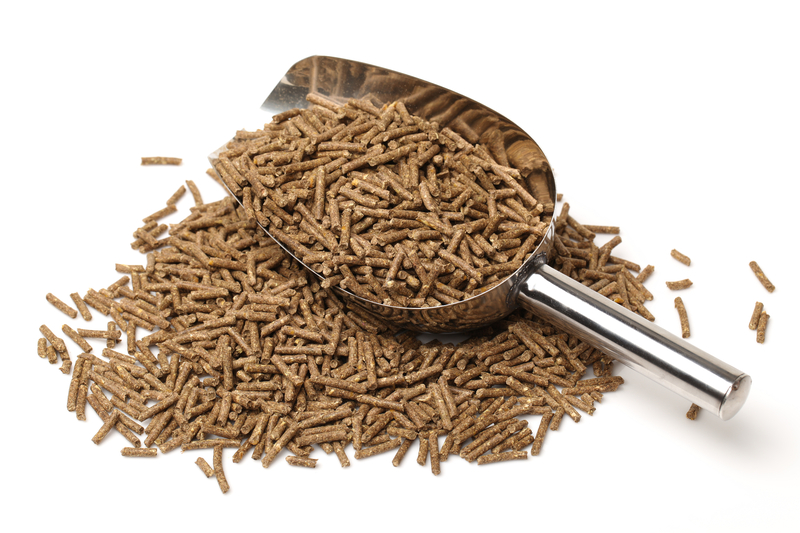 Most commercially formulated feeds are fortified but a diet of whole grains like corn, oats, etc. without good hay or a vitamin supplement could create issues. 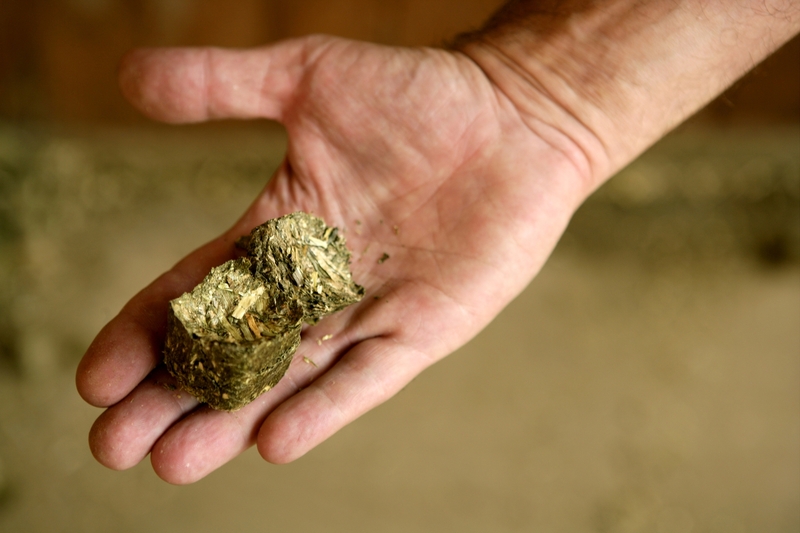 Mycotoxins which can be in contaminated feed and hay are another area of concern for B2 levels. Mycotoxis from mold have been found to reduce the effectiveness of the dietary B2 supply. Even with these concerns, B2 deficiency has never been reported in the horse. B6 is essential for energy production, nervous system activity and for blood production. B6 is actually three compounds, phosphorylation, pyridoxal and pyridoxamine (PALP) which are found in various enzyme systems for their functions in the equine body. Although research has been very extensive, the multiple functions of vitamin B6 through PALP are still not yet fully understood; but over fifty enzymes are known which depend on it. Many factors such as age, performance, and protein uptake effects a horses’ need for vitamin B6. Although deficiency symptoms have not been identified, all the evidence suggests that the amount of vitamin B6 in feeds may not be sufficient for optimum performance at any age. Active horses appear to require a minimum dietary level of B6 greater than 2.5 mg/kg. The aim should be a supplement of about 3 mg per kg of feed which therefore supplies an active, performance horse with 30 mg/day, a resting adult with 18 mg/day, mares and stallions with 12 mg/day and foals and yearlings with 3 to10 mg/day. Where Does My Horse Get It? As with all of the B-complex vitamins they are synthesized by bacteria in the cecum and colon but additional sources from ingested feed and good quality forage are needed to provide adequate amounts for synthesis. If feeding poor quality hay and/or a diet high in concentrate, additional supplementation may be necessary. Most commercial feeds contain B6 but minor losses are found in feed processed by pelleting or extrusion so usually the supplementation recommendations include an allowance of about 10% for losses during processing and storage. Vitamin B6 is a water soluble vitamin and any excess is normally excreted in the urine. B vitamins are needed in such a small amount by the horse that the diet and microbial synthesis provide adequate amounts. There has been some research in nitrogen retention with regard to B6. Optimum nitrogen retention is only possible in the presence of adequate vitamin B6 it is worth noting from this that increased dietary protein intake leads to increased vitamin B6 requirement. Biotin is a member of the B-complex group of vitamins and is most known for supporting nutrients for a healthy skin, coat and hoof. Biotin is a vitamin that must be obtained either through the diet or via the absorption of Biotin that is synthesized by intestinal bacteria. 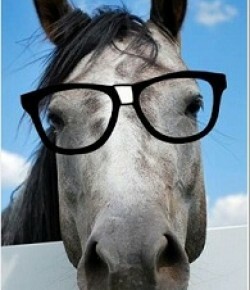 Where Does My Horse Get Biotin? The best place for your horse to get Biotin is pasture but good quality forage can also provide your horse with Biotin. Horses derive most of their Biotin requirement from the fermentation of forages by the microbial population in the hindgut. Grains such as oat, barley, and soybean meal only provide moderate concentrations of Biotin and the lowest levels are found in corn. Because of this some formulated feeds usually add Biotin but it is typically less than 1 mg per day on an as feed basis. There are also numerous supplements on the market that contain high levels of Biotin. These supplements are intended to improve the horse’s hair coat or hoof condition. What is the nutritional importance of Biotin? Biotin is similar to other B-vitamins in that it is essential in the conversion of feedstuffs to energy so horses can grow, work, and reproduce. Biotin is found in virtually every cell in the body and is an essential coenzyme in carbohydrate, fat, and protein metabolism. This B-vitamin is also important for normal thyroid and adrenal gland function, reproductive tract health, nervous system stability, and the growth and repair of skin and hooves. There is quite a bit of research on biotin as a means of improving hoof quality of the horse and I have seen the benefits of Biotin supplementation in my own horses. Various studies have found a significant improvement from Biotin supplementation on overall hoof condition. This makes horses with dry, brittle hooves and cracked feet the best candidates for Biotin supplementation. 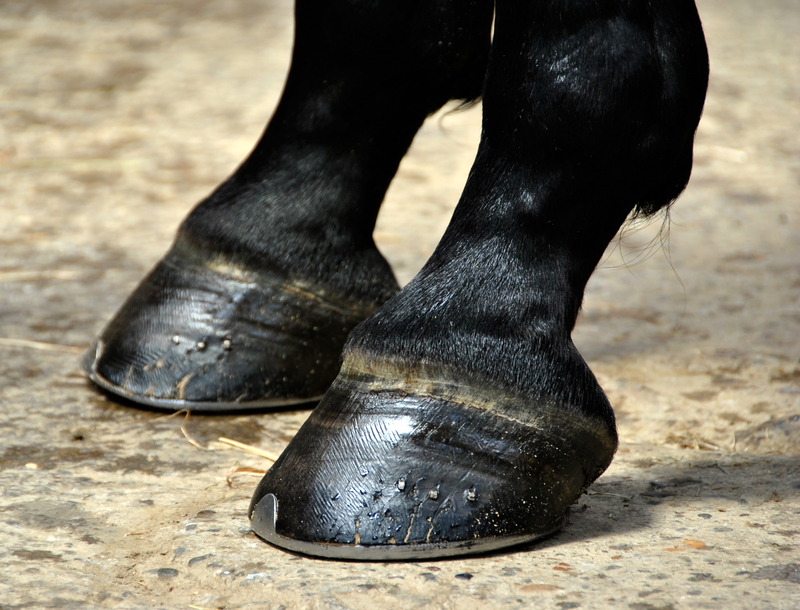 Biotin has also been seen to improve hoof condition in horses that are shod frequently or that pull shoes often, horses with chronic, recurrent laminitis, and those with generally “bad” feet. How Do I Feed Biotin? Horses without the added stresses of growth, hard work or poor skin and hoof condition generally receive enough Biotin in their forage and grains. 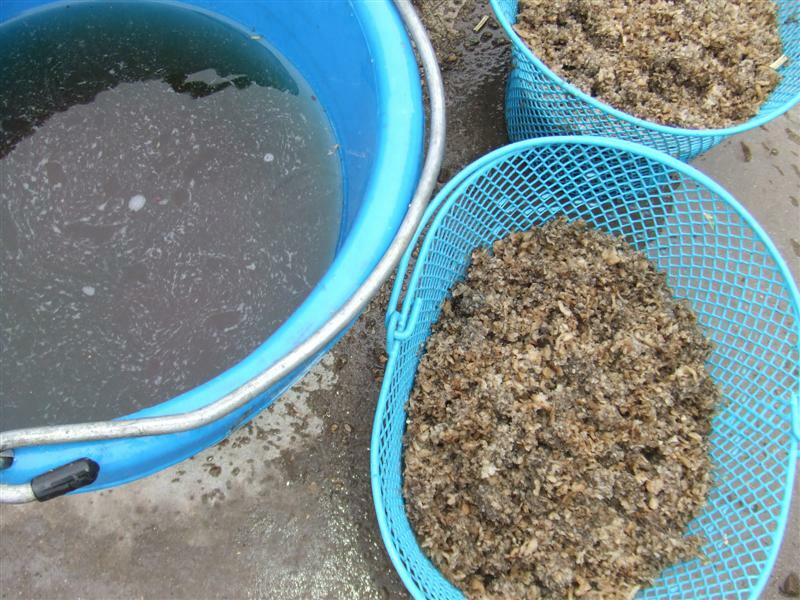 The amount typically found in better feeds and produced by microbial fermentation of forage is enough to prevent any outright Biotin deficiency in most horses. In horses with higher Biotin demands supplements typically offer 5 to 25 mg of Biotin per daily serving. With hoof issues research has shown that in order to achieve improvement in hoof health, a horse should consume a minimum of 15 mg of Biotin per day for 6-8 months to see improvement. Once Biotin has been mixed with other ingredients, particularly oils and other fats, it has a relatively short shelf life so feeding a supplement with added ingredients is best. It’s important to remember that a horse’s hoof takes a year to grow out so you need to give Biotin supplementation time. 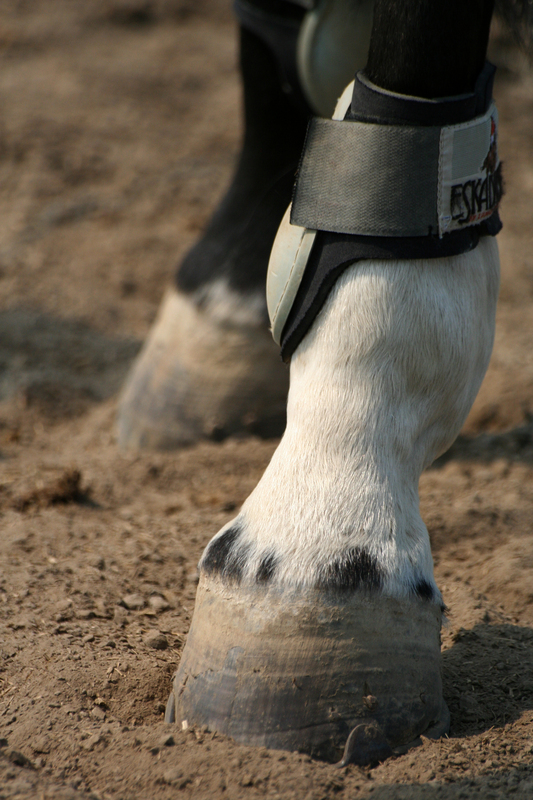 If improvement has been seen within eight to 15 months, the horse will need to remain on Biotin the rest of its useful life to maintain improved hoof condition. Also, be sure to consider all sources of Biotin when calculating how much is in your horse’s diet. If you are feeding more than one supplement, you should read the label of each supplement to determine the overall amount of Biotin that your horse is receiving. Side Note: Since there are no government controls on the manufacture of equine supplements, it is important to buy from a reputable dealer to guarantee that the amount promised on the label is indeed in the product. Beet pulp is a highly digestible fiber source that is a byproduct in the processing of sugar beets for sugar. It’s basically what’s left over after the sugar is extracted from sugar beets. Since the sugar beet industry is happy to have a way dispose of the pulp, it is one of the more inexpensive feeds available to supplement in your horse’s diet. Beet pulp is similar in energy value to oats but the energy comes from digestible fiber and not from starch making it healthier. 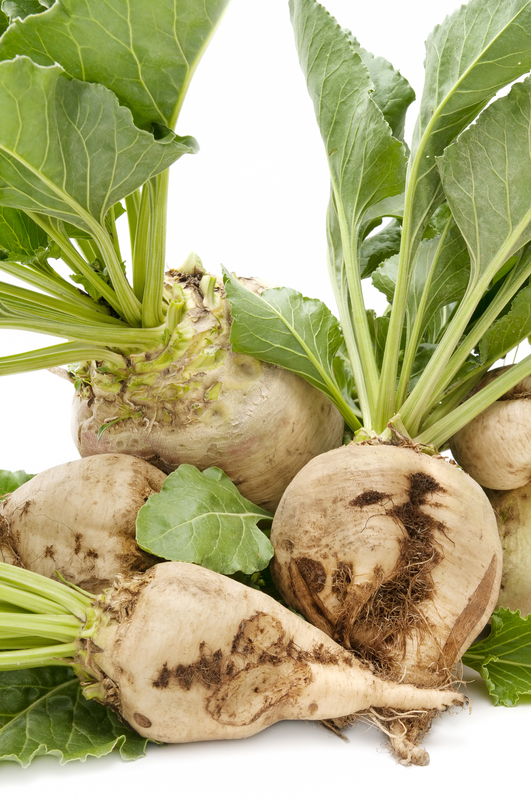 What is the Nutritional Value of Beet Pulp? 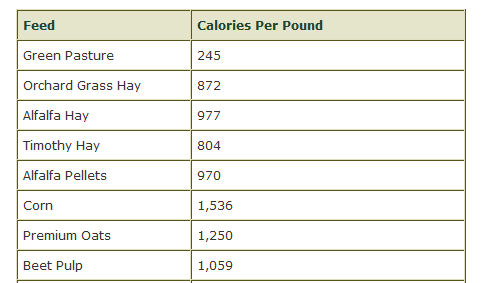 Beet pulp has about the same protein as a good grass hay, averaging 8 to 10%, however it is higher in calories than hay. 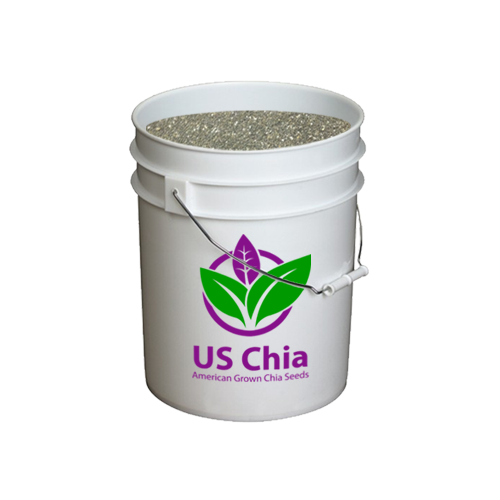 It is a good source of fermentable fiber, is fairly high in calcium, high in crude fiber but basically has no vitamin content. 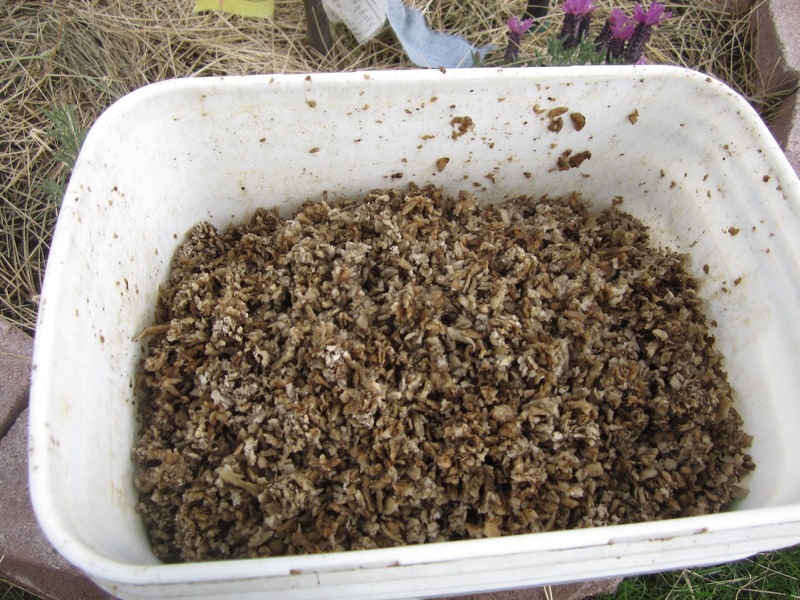 Why Feed Beet Pulp to Horses? Due to its digestibility and the fact that it is easy to chew, Beet pulp is a useful addition to the diet of many types of horses. Horses that are hard keepers, have dentation issues, or have colic concerns are all great candidates for Beet pulp, although any horse will benefit from the high fiber content and additional water source in their diets. How Do You Feed Beet Pulp? Beet pulp comes in either a shredded or pelleted form. Some manufacturers add a touch of molasses to improve its palatability and energy content. Most horses will gobble it up without the added molasses but if you want to make sure, then go with that type. Because it is only added for flavor there is usually not enough molasses in the Beet pulp to metabolically affect your horse. Many feed companies add Beet pulp to their feeds making those feeds “complete” feeds. They can provide all the fiber a horse requires. This type of feed is perfect for situations where no hay or a limited amount of hay or pasture is fed, as well as for older horses or horses with respiratory problems such as heaves. Beet pulp is more labor intensive than feeding hay as most horse owners will want to soak it before feeding it although this is not really necessary. I recommend soaking Beet pulp for two reasons; the first is to reduce the risk of choke. Although research says this is a myth but I say why risk it? The second, and primary reason, I soak Beet pulp is to add water to the horse’s diet. To properly soak Beet pulp, place it in a bucket and add twice as much water as Beet pulp by volume, so 2:1 water to beet pulp. Warm or cold water may be used; although if time is an issue using warm water will decrease the soaking time. I soak for 30 minutes when I’m using warm water and 60 minutes if I’m using cold water. Some of my clients soak it overnight for the morning feed and all day for the evening feed. Just be careful in the summer and not leave it longer than 24 hours. When Beet pulp is ready for feeding it will have soaked up all or most of the water, and will have expanded in volume and have a mushy consistency. If you have a horse with metabolic problems its good idea to rinse the beet soaked Beet pulp to reduce the sugar content. I use Beet pulp consistently with my clients, especially for hard keepers, older guys and those wanting to fill out a topline. Side Note: Since Beet pulp comes from beets that are grown in the ground don’t be surprised to see some dirt in the bag. Bran is similar to other byproducts of the milling industry that found their way into livestock diets when manufacturers were searching for a profitable use for the byproducts. When milling wheat the husk is removed before grinding the soft, inner kernel into flour. The husks are then turned into the large reddish-brown flakes known as Bran. Horses, people discovered, liked the taste of Bran. And millers are more than delighted to sell Bran cheaply to those who want to feed it to their horses. What is the Nutritional Value of Bran? Bran is similar in nutrient content to oats. It has one-half the density of whole oats, around one-fourth the density of corn or wheat and about four times the phosphorous content of most grains. It’s relatively high in B vitamins such as niacin, thiamin and riboflavin, but much lower in other B vitamins. Bran has an extremely lopsided calcium-to-phosphorous ratio of 1-to-12. The ideal ratio of calcium to phosphorous in a horse’s diet is 1-to-1 or 1-to-2. Why Feed Bran to Horses? There are many reasons people feed Bran. Many feel that a hot Bran mash warms a horse in winter. Others feed it to get more water into the horse. Still others have told me they feed Bran for its laxative effects. Personally I think there are better ways to warm your horse in the winter. To me a better way to warm a horse in the winter is to increase the amount of hay it eats. 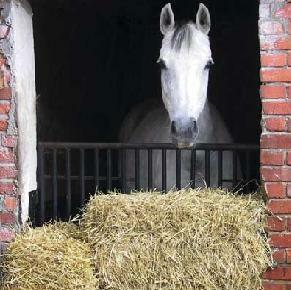 Digestion of hay will raise the internal core temperature of your horse for hours. 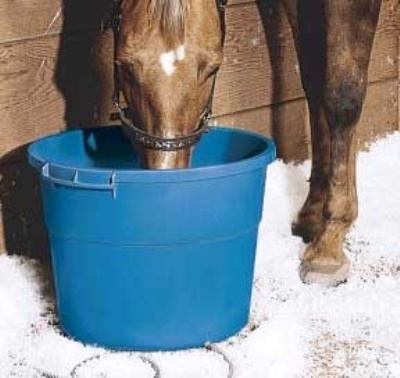 As far as water intake, it will help, but a more long term way to get more water into the horse in the winter is to make sure water buckets stay thawed, water is an agreeable temperature or to add flavor or salt to the water to make it more palatable. Still other horse owners feed Bran to “clean out the system”. The more obvious reason some horses get looser stools with a weekly Bran mash has nothing to do with its laxative effect. Rather, Bran loosens the manure of horses because if you feed it only occasionally it represents a sudden change in diet. As with most sudden changes in a horse’s diet, the gut microbes react and they start to die off. That causes the diarrhea or watery stool that horse owners erroneously assume is a laxative effect. So substituting a Bran mash for the horse’s regular feed could cause a digestive upset and loose manure will result. Therefore, this is less a way of “cleaning out his system” and is probably more a way to cause colic in your horse. Finally, some people feed Bran to help entice a horse to eat as they find it very palatable. If you have a horse that is not a hardy eater (and there are a few), the taste of Bran is highly appealing to a horse so it could help picky eaters to clean up their feed. What Are the Concerns with Feeding Bran? As we have discussed, the possible intestinal reaction to an occasional Bran can make the weekly Bran mash a potential health risk. But the bigger danger of feeding Bran to horses is how it can affect the calcium-phosphorus ratio. Bran is much higher in phosphorus than calcium, so long-term feeding of Bran without balancing the diet can result in mineral deficiencies. If there’s not enough calcium to match the phosphorus in a Bran-fed horse’s daily feed, his body will pull extra calcium from his bones in order to balance the excess phosphorus in his gut. 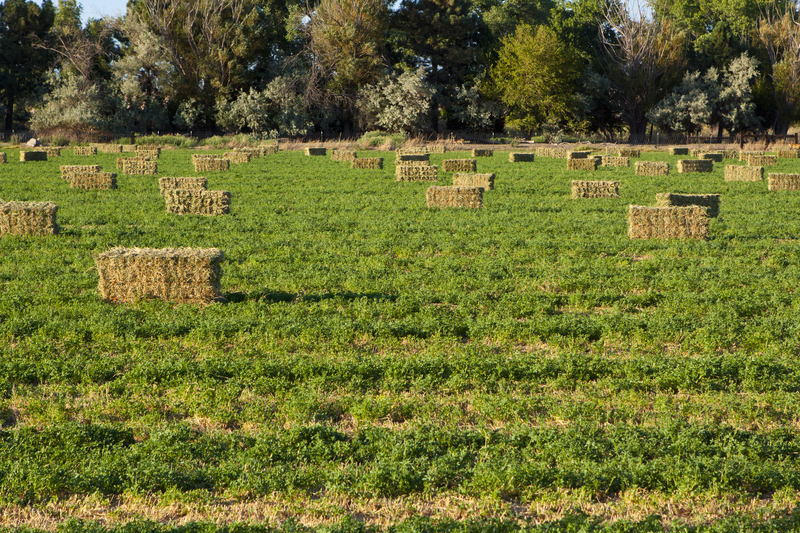 You can feed alfalfa (hay, pelts or cubes) or other legume hays to balance out Bran’s phosphorous content. 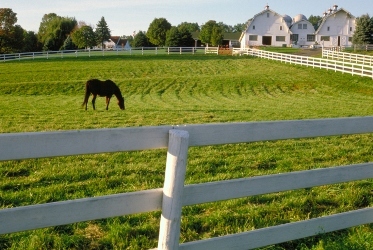 If feeding grass hay you can add 2 ounces of feed-grade limestone to the horse’s daily grain ration. One final concern with feeding Bran is that, unless made into a mash with added water, Bran tends to be dry and it could be inhaled which might irritate the horse’s respiratory tract. How Do I Feed Bran? If you want to feed Bran, or Bran mashes, it can be fed in amounts up to 5 to 7 percent of the horse’s total daily ration without causing harm. If you want to bump up the fiber in your horse’s diet, or help a picky eater by feeding Bran as a regular part of the ration, you can gradually add a quarter-pound of Bran every three or four days until your horse is eating a pound of Bran daily. This would keep the gut happy and be about 5 percent of the total ration. 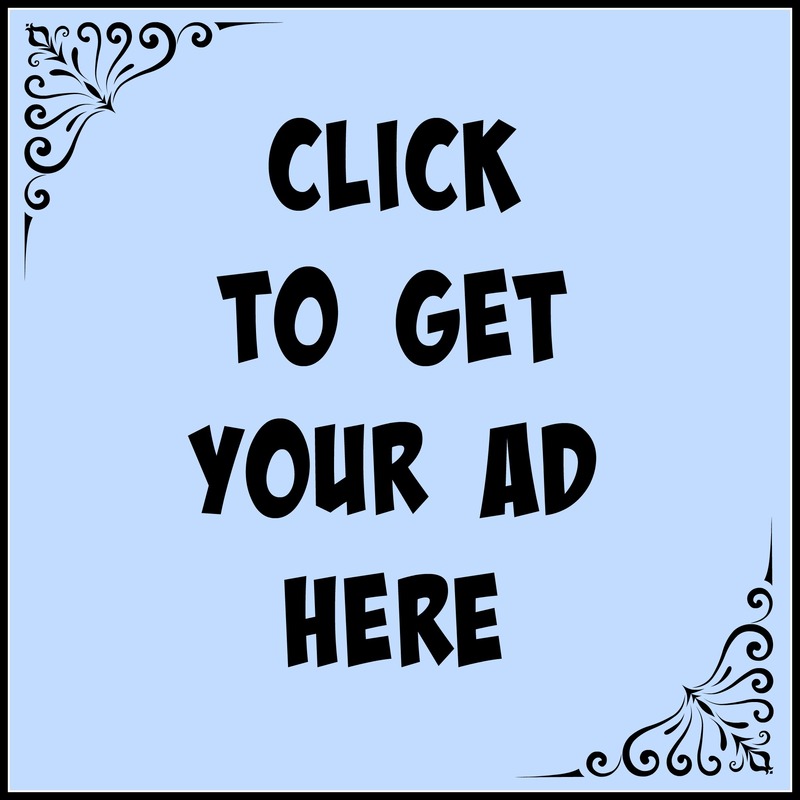 If you want to feed a warm Bran mash there are a variety of Bran mash recipes commonly used. 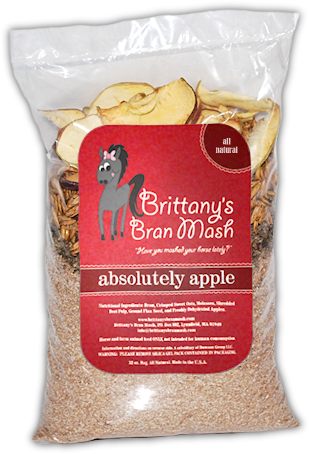 There are even pre-made Bran mixes you can buy at your feed or tack shop. If you buy the Bran in bulk you would want to use four to eight cups of Bran and add water until the Bran is well saturated. The proper consistency should result in the Bran clumping together if you grab a fist full and squeeze it. Most of my clients add other things to the mash. Oats, flavors like molasses, and of course plenty of chopped up carrots and apples. Remember, however you decide to add Bran to your horse’s diet, make the change gradually made over a period of days or even weeks. Sudden changes of any kind; new feed, different hay source or supplements can upset the microbial balance in the gut. This balance must stay stable for proper digestion, vitamin synthesis and overall health. But when a sudden change is made, it shocks the microbe population, and they die. Not only does this affect the microbes ability to assist in proper digestion, but the dying microbes give off toxins that can be absorbed into the horse’s bloodstream causing all kinds of trouble for your horse. What is a Blister Beetle and What Does it Look Like? Blister Beetles are members of a family of plant-feeding insects (Meloidae) that contain a toxic defensive chemical known as cantharidin. This chemical protects them from predators. Accidentally crushing a Beetle against the skin can result in a painful blister, the source of the insect’s common name. Blister Beetles have long (3/4 to 1-1/4 inch) narrow bodies, broad heads, and antennae that are about 1/3 the length of their entire bodies. The front wings are soft and flexible in contrast to the hard front wings of most Beetles. Blister Beetles have a head that is broad and vertical. The section of the body between the head and the wings (prothorax) is narrower than the wings, and narrower than the head. It appears that the insect has a neck. Striped Blister Beetles are about 5/8 inch long and one-fourth as wide. They are gray to brown with yellow stripes running lengthwise of the wing covers. The ash-gray Blister Beetle is about 1/2 inch long and is completely gray. The Black Blister is about 1/2 inch long and is solid black. Where are Blister Beetles Found? Historically, Blister Beetles have been found in arid regions of the US where grasshoppers are abundant most every year. The adults feed on leaves in the tops of a plant but are especially attracted to flowers where they feed on nectar and pollen. They gather in groups, so large numbers can occur in concentrated clusters in a field. Blister Beetles have a wide host range including alfalfa, clover, soybean, potato, tomato, melon, cotton, and eggplant. These Beetles are mid to late summer insects, active in mid-July and early August which translates to the third or fourth cutting of hay. 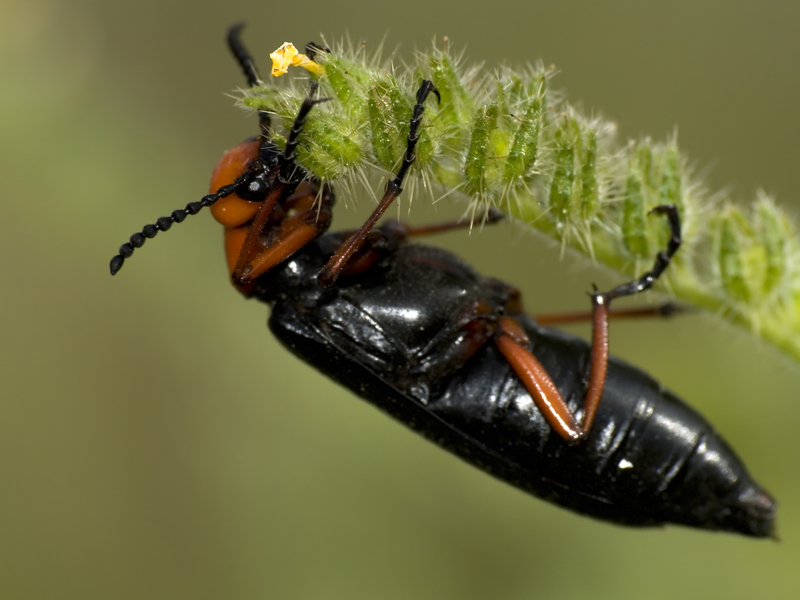 Why Should a Horse Owner Care About Blister Beetles? In sufficient quantity, the cantharidin in the bodies of living or dead Blister Beetles can be toxic, and in some cases lethal, to horses. The lethal dose is estimated to be between 0.5 and 1.0 mg of cantharidin per kilogram (2.2 lbs) of body weight. Cantharidin is very stable and remains toxic in dead Beetles for a long time. Cantharidin can cause sever inflammation and the formation of blisters on the skin. If absorbed through the intestines, symptoms can include inflammation, blisters in the mouth, straining, temperature, increased heart rate and respiration, sweating, diarrhea and frequent urination within the first 24 hours. This is accompanied by secondary infection and bleeding. Calcium levels in the horses may be drastically lowered and heart muscle tissues destroyed. Animals can die within 24 to 72 hours, so it is imperative to contact a veterinarian as soon as a Blister Beetle poisoning is suspected. Simply touching a Blister Beetle, either dead or alive, is enough to cause inflammation and blistering of a horse’s skin within hours of contact. Animals may be poisoned by eating crushed beetles in cured hay. The severity of the reaction, ranging from temporary poisoning, to reduced digestive ability, to death, depends upon the amount of cantharidin ingested and the size and health of the animal. If an owner suspects a horse has ingested Blister Beetles, they would need to transport the horse to the nearest equine hospital for treatment. How Can I Reduce My Horse’s Risk? If practical and possible, grow your own alfalfa so that you can use proper preventive management practices. Buy from local sources. Develop a relationship your hay producer so that you know their production practices and hay quality. Buy first cutting hay. Blister Beetles are not active then. You should examine the hay carefully for the presence of Blister Beetles before feeding your horse hay. What Should a Horse Owner Do if a Horse Eats A Blister Beetle? If a horse ingests even a few Beetles, the insects’ cantharidin can cause ulceration and inflammation of the mouth, stomach, and intestines. Clinical signs including decreased appetite, frequent drinking and urination, colic, and depression can be apparent within hours. Treatment is aimed at reducing absorption of the toxin through administering activated charcoal and mineral oil. Intravenous fluids, gastrointestinal protectants, and broad-spectrum antibiotics are also used. All of these should be given by a veterinarian. In the event that one horse in a barn suffers from Blister Beetle toxicity, veterinarians recommend that owners stop feeding the hay to other horses in the barn and keep a close eye for signs of toxicity in other horses. However, I did find the following information from Feedipedia.org which is a great reference website with all types of feed ingredients. Note: There was no reference to equine use with regards to these values. Black Oil Sunflower seeds are valued for their oil content, which accounts for about 50% of the seed dry weight. Sunflower protein is less rich in the amino acid lysine than soybean protein but it does have a relatively high amount of the amino acids cystine and methionine. Why Should I Feed BOSS to my Horse? I would say the number one reason my clients feed BOSS is better coat condition. The coat improves because of the high oil (fat) content. It could also be because of the high level of omega-6 fatty acids in BOSS. The second reason for feeding BOSS is price. Pound for pound BOSS is usually less expensive than other supplements used for coat condition. Black Oil Sunflower Seeds have also been known to be beneficial for weight gain. With a whopping 2500 calories per pound they can be fed to add some calories to your horse’s diet and assist with weight gain. They are preferred by many owners over oil due to the fact that they provide fat along with other nutrients. However, if weight gain is not a goal in feeding BOSS, you can feed in smaller amounts and they will give your horse a nice shiny coat without the weight gain. How Do You Feed BOSS? BOSS can be fed as whole seeds right along with your horse’s other feeds. In my experience most horses love the seeds but for some picky eaters you may have to start with very small amounts and gradually increase to the amount you want to feed. Usually, they are fed at a rate of 0.5-1.0 cup per day for shine without the weight gain. For weight gain, you usually want to feed at least 2 cups per day, if not more. Of course, you may have to adjust these amounts for individual horses. 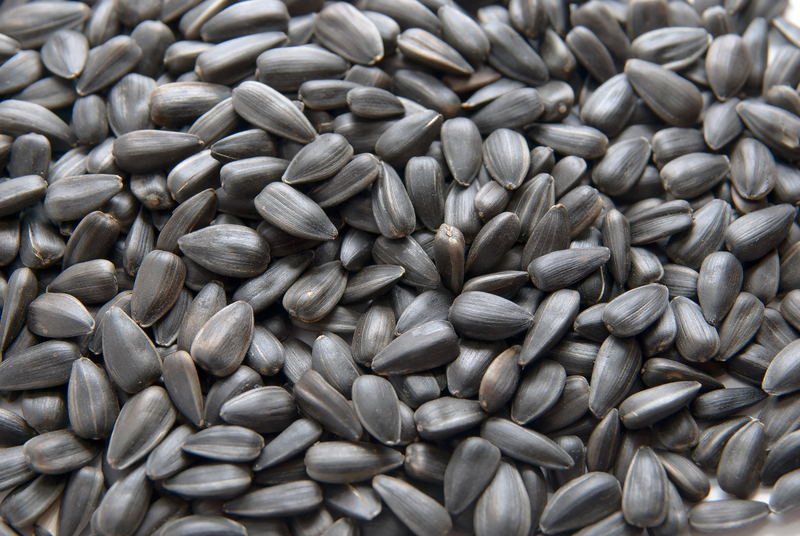 NOTE: Sunflower seeds should never be fed at a rate higher than 2 pounds per day because they are fairly high in the Omega 6 fatty acids, which is an EFA that you want in moderation. Plus, they are a bit higher in phosphorous than in calcium, so more than 2 lbs will mean you will have to adjust this ratio in your feeding regimen and always start slow with any feed change. I am always preaching about weighing your feed and BOSS is no exception. The volume of BOSS varies due to seed variation and a pound can vary from 5 cups per pound in one bag to as low as 2 cups per pound in others. As with all your feed weight measuring it pays to purchase a food scale at Target (~$15.00) and actually measure what the feed stuff in your scoop or can really weighs. Side Note: HYPP positive horses, or those that might be, should not have BOSS added to their daily ration. These horses need to have very controlled amounts of potassium in their diets (less than 100 grams per day). In a horse’s diet it is already difficult to control for potassium intake so with 900 mg of potassium per cup, BOSS is something that should not be added to the HYPP horse’s diet. What Should A Horse Owner Consider When Feeding BOSS? The biggest concern I hear is the high in omega-6 fatty acids content. Especially since Omega-3 is almost non-existent in BOSS. There are two fatty acids that cannot be produced within the equine body; omega-3 (linolenic) and omega-6 (linoleic). When the two are in balance they can offer anti-inflammatory properties but no one knows the balance for horses. Research in humans and dogs have shown when omega-6 is too high it can actually increase inflammation and the chance of osteoarthritis. It can also decrease bone formation and decrease the allergy fighting properties omega-3 provides. The equine diet does not require omega-6 fatty acids to be supplemented because is provided naturally in grains and most forage. Therefore, adding more omega-6 fatty acid to the diet by feeding black oil sunflowers is probably not a great idea because it might cause the level of omega 6 to be too high. Another concern is that Black Oil Sunflower Seeds are prone to insect and mite infestations and proper storage methods must be used to prevent insect development. Also, the use of pesticides in the growing of sunflowers may result in residues in the seeds and sunflower seeds should also be monitored for mycotoxin contamination. One final concern with feeding BOSS to horses is its digestibility. 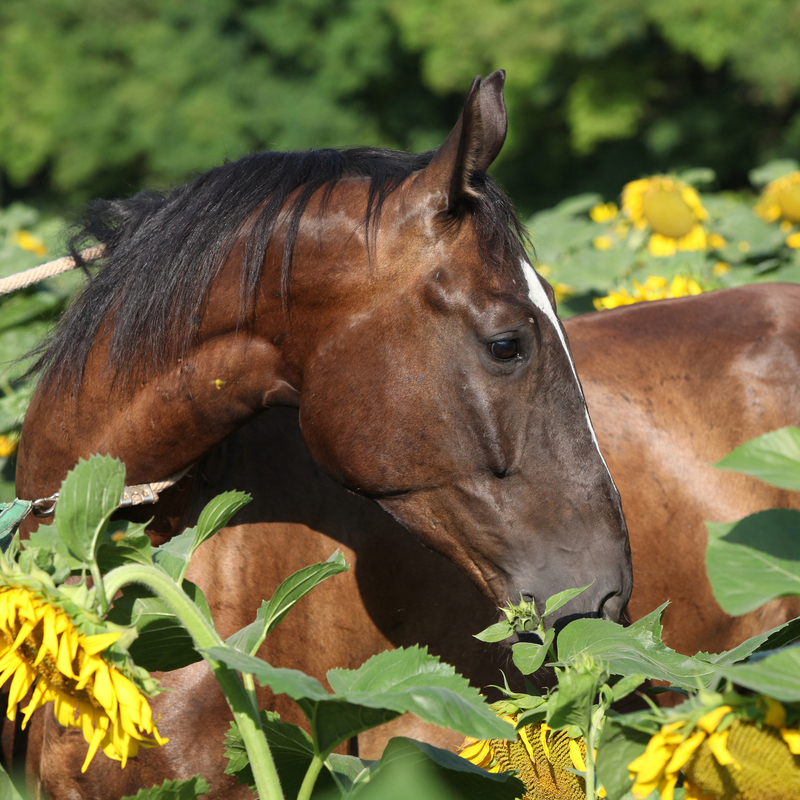 There is no research to determine if the equine digestive system can utilize whole black sunflowers. The BOSS shell is softer than the coating on an oat so it makes sense that any horse that can handle oats should have no problem with BOSS. I have heard of colic incidents in horses when their diets contain BOSS. Some owners report having seed hulls show up in the impactions. However, as far as I know, none of them have been able to prove whether or not BOSS was the actual cause of the colic. Its always possible that those horses would have had an impaction regardless of whether or not there was BOSS in their diets. So in summary, when I do a benefit versus the risk analysis for BOSS I’m not sure if the short-term benefits of a healthy coat outweigh the possible long-term health risks. Especially since there are supplements available for coat improvement and weight gain that have research to support their use. Whew! We made it through the letter B and learned about quite a variety of things! I love it when that happens. On to the letter “C” and more knowledge!